Bodybuilding, Cortisol, Testosterone, & Fatigue! Love the site and totally agree with all that you're saying. My question is regarding the cream that you list. My doctor has prescribed me a testosterone cream from a compounding pharmacy. Could I use this say once every 2 weeks or so when I'm cycling the supplements? Would this infrequent use avoid side effects and still be an important part of the regime? I'm with you, I want the benefits of feeling more energetic, yet don't want the side effects. I'm a 47 year old who has been bodybuilding since the age of 15, but am battling fatigue. I refuse to go on full blown testosterone replacement therapy when its still not time yet. 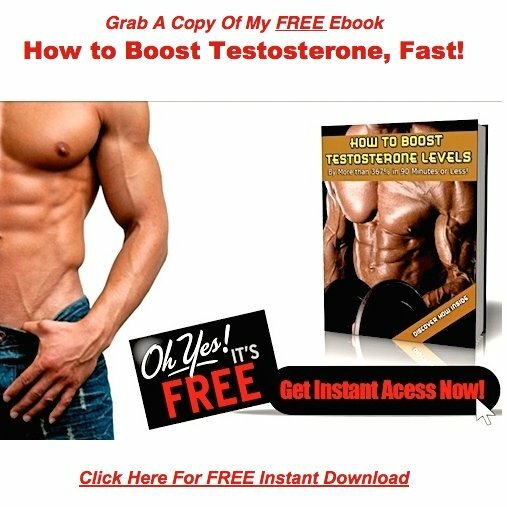 Intermittent dosing with testosterone cream takes an already bad idea, and makes it worse. In essence, you'd be jacking up testosterone production for several hours, followed up by a long dry spell. I'd compare this to drinking a bottle of whiskey in one sitting, then suffering a hangover for the next 2 weeks. The initial buzz won't even come close to making up for the side effects that will follow. 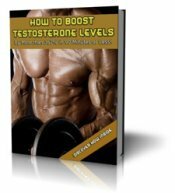 Will the testosterone cream do anything for me, aside from delivering a very temporary boost in testosterone? The answer to that question is absolutely not! The bottom line with testosterone replacement therapy is, you're either all in or you're not in at all. At your age, I'd suggest not going in at all. I can't tell you how I often I hear from 40+ bodybuilders suffering from fatigue, lethargy, and low energy levels. I have a theory about this, and I'm pretty sure I'm right. Once you cross a certain age threshold, you have to seriously cut down on your minutes in the gym. Cortisol levels are going to go up, and testosterone levels are going to go down. Fatigue, sleep disturbances, muscle wasting, thinning skin, bone loss, fat accumulation, depression, and increased aromatase activity leading to elevated estrogen levels. As you and I both know, bodybuilders are an extremely disciplined group. Once these symptoms come on, most do exactly what you'd expect them to do. They head straight back into the gym, and hit it even harder! Of course, this only makes matters worse. Exercise in very intense yet brief sessions. Allow plenty of time for recovery between those sessions. This will reduce the stress on the body, resulting in much lower cortisol production. The next step would be to build on this, by jacking up testosterone levels.